(2017/Ace) 14 tracks -A 14-track vinyl album by the man regarded by many as the greatest-ever soul singer. 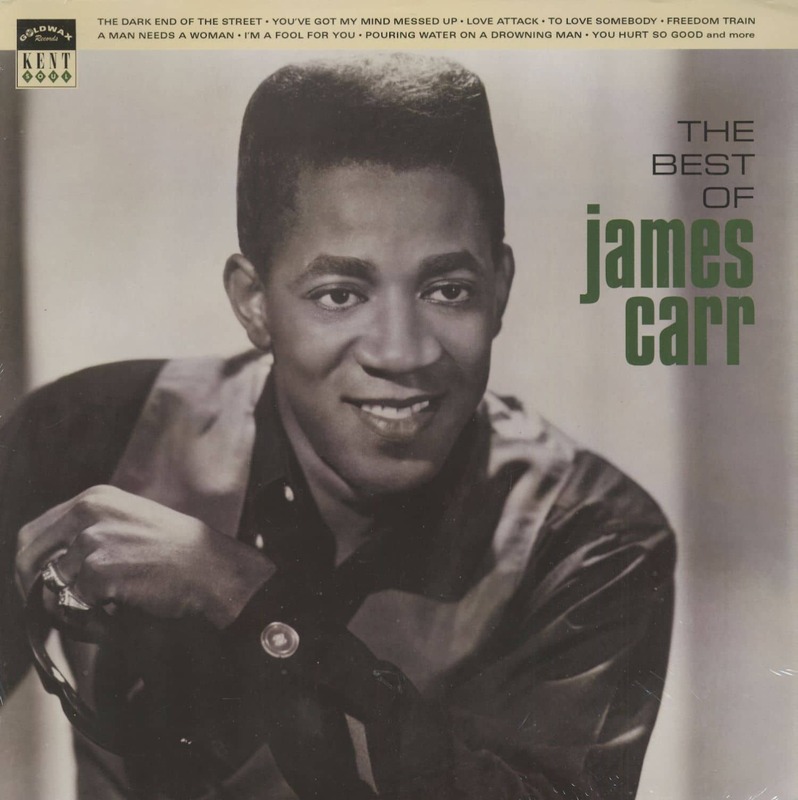 America's new Soul Man James Carr has come a mighty long way in a very short time. lt, only been three years since James' first Goldwax hit 'You've Got My Mind Messed Up' made its debut on the Soul and Pop charts, but there's hardly been a time since that he, been off those charts. The nine R&B hits James has racked up since 1966 (most of which have also fared very well on the Hot 100) place him high on the list of the most popular singers to have come out of Memphis, Tennessee since Rhythm & Blues became Soul not long ago. He is, without doubt, the flagship male singer of the Goldwax Record Company, and all of us at the label could not be more proud of James, what he has achieved and how quiddy he has achieved it. With his friend and manager, songwriter Roosevelt Jamison, James came knocking on the door of the home of Goldwax founder and President Quinton M Claunch one rainy Memphis night in 1964, and auditioned for him on the spot with no accompaniment. Quinton liked what he heard, and inked the young man to a recording contract right away. James' first couple of Goldwax 45s suffered from insufficient distribution, and did not fare too well outside of Memphis - but a new distribution deal with Bell Records brought him and Goldwax instant chart success with 'You've Got My Mind Messed Up' that has continued consistently up to his latest 45, his version of Australian group the Boo Goes' 'To Love Somebody', which is still climbing the charts at the time of writing. In between those hits James has scored with a number of songs that are already highly rated, and that many believe will come to be revered as Soul classics by generations to come.Those songs in-clude 'Love Attack'. 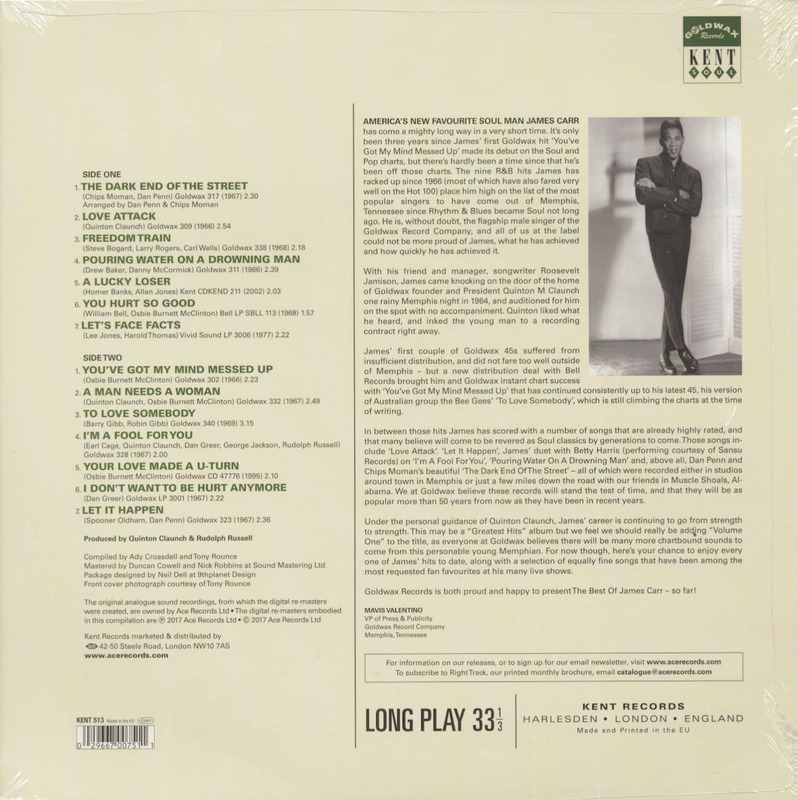 'Let It Happen', James' duet with Betty Harris (performing courtesy of Sansu Records) on 'I'm A Fool ForYou', 'Pouring Water On A Drowning Man' and, above all, Dan Penn and Chips Moman's beautiful 'The Dark End Of The Street' - all of which were recorded either in studios around town in Memphis or just a few miles down the road with our friends in Muscle Shoals, Al-abama. We at Goldwax believe these records will stand the test of time, and that they will be as popular more than 50 years from now as they have been in recent years. Under the personal guidance of Quinton Claunch, James' career is continuing to go from strength to strength.This may be a "Greatest Hits" album but we feel we should really be addiing "Volume One" to the title, as everyone at Goldwax believes there will be many more chartbound sounds to come from this personable young Memphian. For now though, here's your chance to enjoy every one of James' hits to date, along with a selection of equally fine songs that have been among the most requested fan favourites at his many live shows. Goldwax Records is both proud and happy to present The Best Of James Carr - so far! 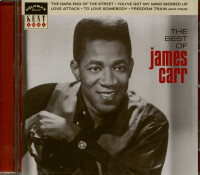 Customer evaluation for "The Best Of James Carr (LP)"